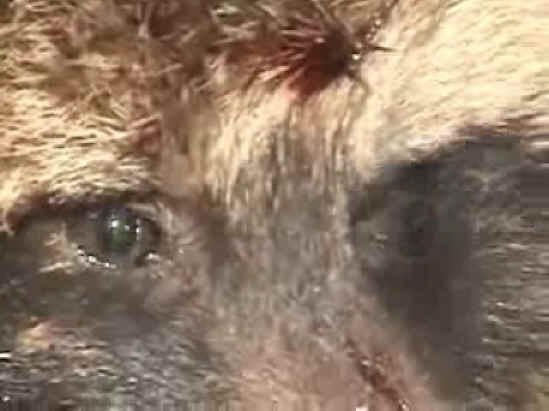 (Raccoon Dogs - Fur - 20) As we prepared this photo journal our hears and souls were tormented by these scenes and sounds, but nothing that we felt could compare with the agony that these helpless animals are going through. 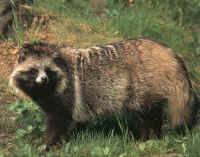 Look into the eyes of this raccoon dog with severed legs and feel his or her agony. What keeps us going is that thought that if we don't expose these atrocities, who will?